Good morning ... From the annals of ostensibly feel-good stories that are actually not great, if you think about them for more than 10 seconds: A high school robotics team stepped up to build an electric wheelchair — for a toddler with a rare genetic disease, whose parents' insurance won’t cover an electric wheelchair. Conventional wisdom says health insurers nudge patients toward generic drugs whenever they can, saving everyone money in the process. As my colleague Bob Herman reports, however, that’s not always true. Case study: Mylan recently launched a generic version of the popular Advair inhaler at a 70% discount. But Express Scripts, which manages pharmacy benefits for 100 million people, is telling pharmacies to dispense the more expensive Advair brand because it won't cover Mylan's generic. How it works: Express Scripts says brand-name Adavir, which is made by GlaxoSmithKline, is the cheapest option after accounting for rebates. That means GSK must be offering rebates somewhere on the order of 70%, to beat Mylan's price. Express Scripts will pass most of those rebates along to its clients — employers and insurers. 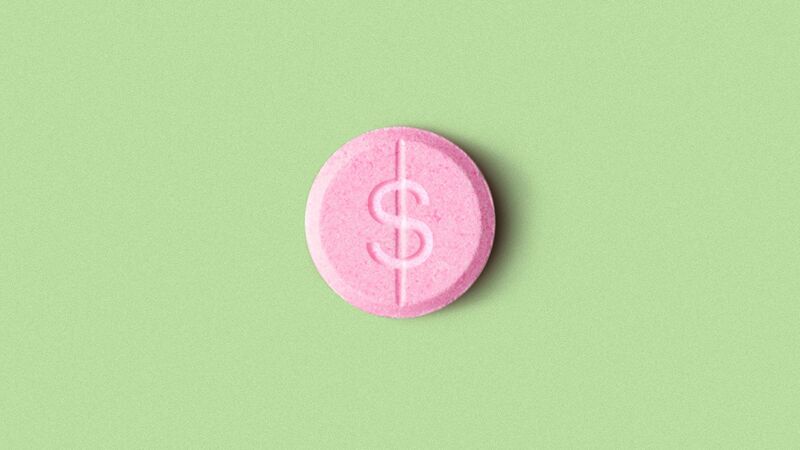 Why it matters: Express Scripts is doing what PBMs are supposed to do — negotiating big discounts, rewarding the lowest-cost drug, and passing along the savings. But because those discounts are administered as rebates, not everyone will benefit. The preference for a brand-name drug with a higher list price is bad news for patients who have high out-of-pocket costs, and for employers whose contracts with Express Scripts don't allow them to keep all of their rebates. Yes, but: Generics still make up 90% of filled prescriptions. And PBMs make sizable profits off generics through practices like "spread pricing" — in which they charge their clients more for drugs than what they pay pharmacies, and keep the difference. The House Energy and Commerce Committee yesterday approved several bills designed to enhance prescription drug competition, Axios' Caitlin Owens reports. This includes the CREATES Act, which received bipartisan buy-in after relatively minor changes were made to the original version. That bill would allow generics manufacturers to sue brand-name drugmakers for access to the samples they need for approval, although the new version offers more protections to brands. The committee also passed a bill that makes it illegal for branded companies to pay generic companies to stay off the market. The big picture: CREATES is expected to save the federal government $3.9 billion over 10 years, a fraction of the $100 billion spent on Medicare's prescription drug benefit alone in 2017. But Congress has thus far struggled to do much of anything, and the push to reduce drug prices has to start somewhere. Most large U.S. cities have a shortage of affordable housing, and that has a ripple effect on low-income families' health, Curbed reports, citing a new study that adds to the growing focus on social determinants of health. "Half of renters surveyed delayed health care because they couldn't afford it, and 100 percent of medical professionals surveyed said they had dealt with patients in the past who expressed concerns and anxiety about affordable housing. When these doctors and nurses advised patients to reduce stress, [92%] said financial issues were their biggest stress trigger." What's next: A handful of state Medicaid programs and health systems have both recognized this link, and are steering some of their health care dollars toward affordable housing. The Affordable Care Act was and is a big deal. But it probably should not be the sun around which all health policy must orbit. And the fact that Washington has thrust it into that role, for almost a decade, has diverted attention and political energy from the very important issue of what health care costs. "We're doing nothing. Nothing. We're heading toward the waterfall," former Congressional Budget Office director Doug Elmendorf told Politico's Joanne Kenen, who has a good piece about the opportunity cost of the ACA wars. Polls show that the public is worried about cost more than anything else in the health care system, but it's not getting commensurate political attention. Republicans are torn among competing strategies of ignoring health care, stoking the embers of the ACA-repeal fire, and promoting an agenda of looser regulations with higher out-of-pocket costs. Democrats are torn between expanding the ACA (which would shift more costs to taxpayers, without necessarily lowering them) and calls for single-payer (which includes some very dramatic cost controls, but is the most politically difficult option you could imagine). The bottom line: Health care costs are just going to keep on climbing. You probably saw the news yesterday that Cigna/Express Scripts will be reducing how much many patients must pay each month for insulin. But not everyone's sold on this move, which just so happened to occur right before a big Senate hearing with PBMs. "Why couldn't this have been done years ago? It shouldn't take bad press and congressional scrutiny to get health plans, their pharmacy benefit managers and pharmaceutical companies to arrive at a fair price for a drug that's been on the market for nearly a century." Grassley has a point — if it's this easy to reduce patients' costs, why have those costs gotten so high, and stayed there for so long? And, as STAT notes, these changes won't be universal: Employers will have to agree to participate in Cigna and Express Scripts' new system.